My second semester of law school begins tomorrow (technically, now, today). With the anticipation of what was to come, I woke up feeling frustrated, anxious, and overwhelmed. I already had over 30 pages of reading to do… just for the first day! Winter break wasn’t nearly long enough, and I was wishing the holidays weren’t over yet. So, how to solve this terrible problem? Retail therapy! 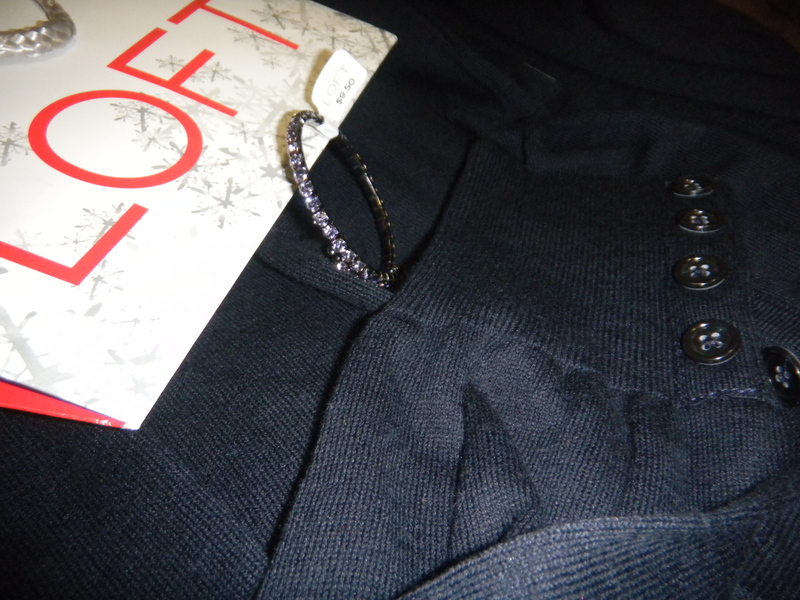 Ann Taylor LOFT was having a 30% off everything sale today, and it’s one of the few decent stores we have in this small town. 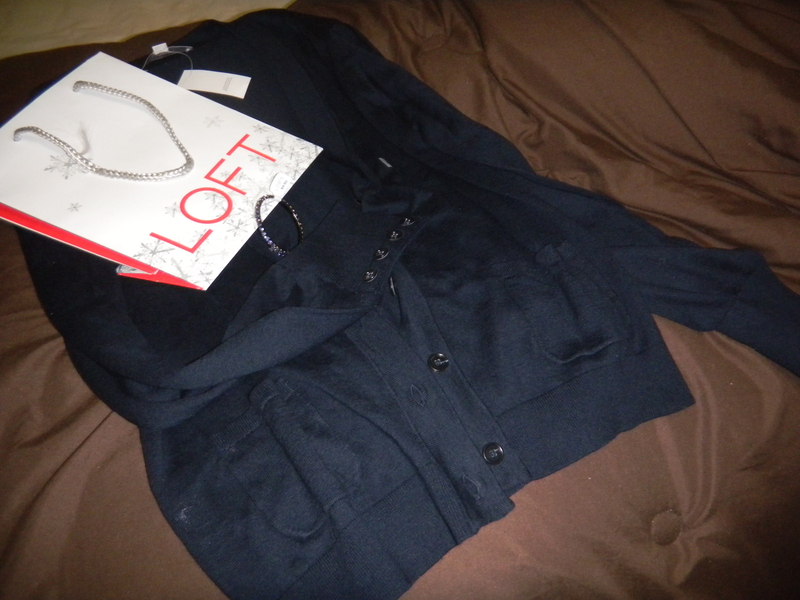 I had found a navy blue cardigan there while I was at home that I loved, but it hadn’t been on sale at the time because it was a “new arrival.” Fortunately, today’s sale included everything, including new items! 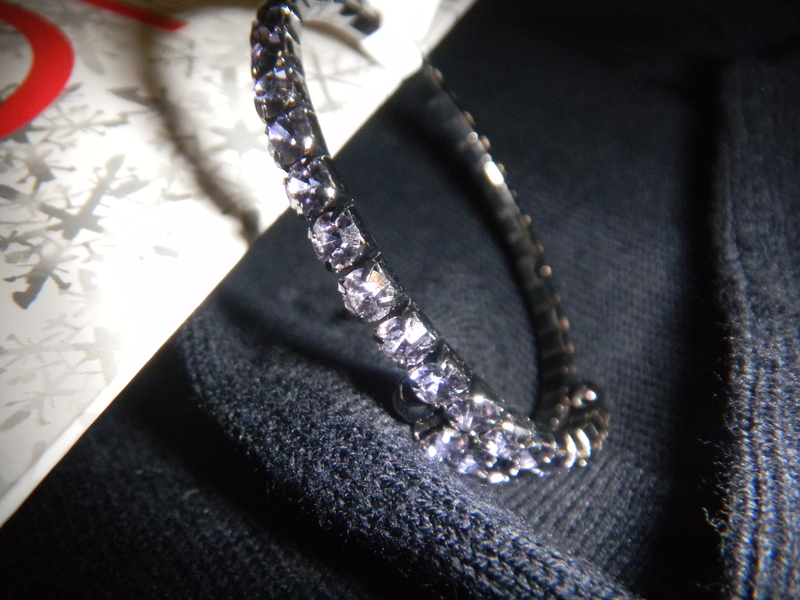 So away I went, and found my navy cardi and picked up another one of those super fun bracelets (in lavender) while I was at it! 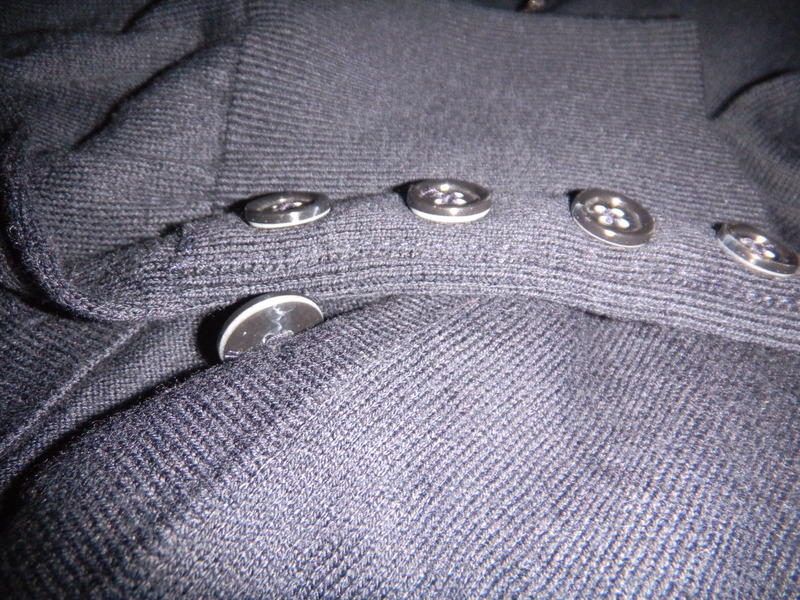 Super cute buttons on the sleeves! While retail therapy is a fantastic distraction, and it definitely brightened my day today, please be advised that I don’t recommend it as a regular fix for stress! While fun, retail therapy can lead to overspending, which can lead to more stress… it can be a vicious cycle! So choose wisely, try to do it when things are on sale, and only buy something you really want! Honestly, it makes the reward all the sweeter! What are some of your favorite retail therapy purchases and places o go?